Freeride and Freestyle, both recreationally and competitively, are fast-growing segments in the PWC Industry. U.S. consumers are so eager to get into these segments they are purchasing complete “stock” craft or aftermarket hulls and then investing additional time and money to finish building them to spec. Both options are excessive, very expensive, and now, completely unnecessary. Introducing Krash Industries, the first ever manufacturer of affordable complete, turn-key Freeride and Freestyle watercraft for riders of all skill levels. 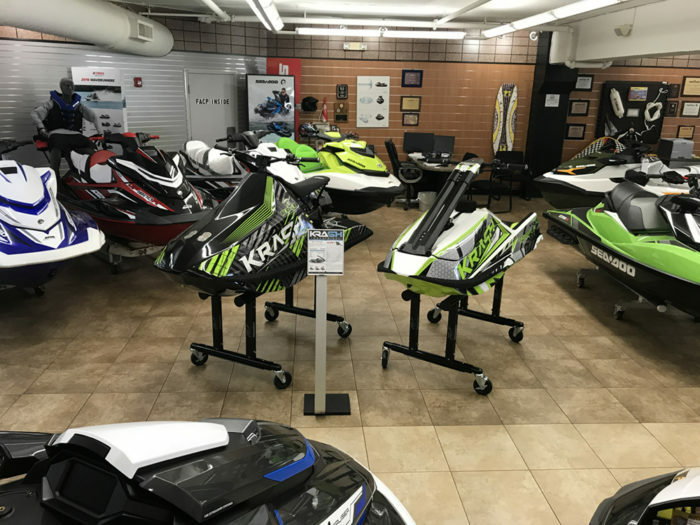 After successfully selling direct to consumers for several years Krash Industries is expanding their business by creating a U.S. Dealer Network. We’re looking for enthusiastic and motivated business partners to help us grow these exciting segments. If you’re ready to ‘Send It’ please fill out and submit the form below so our Dealer Network Representative can follow up with you about taking your business to a whole new level of Powersports growth and fun.